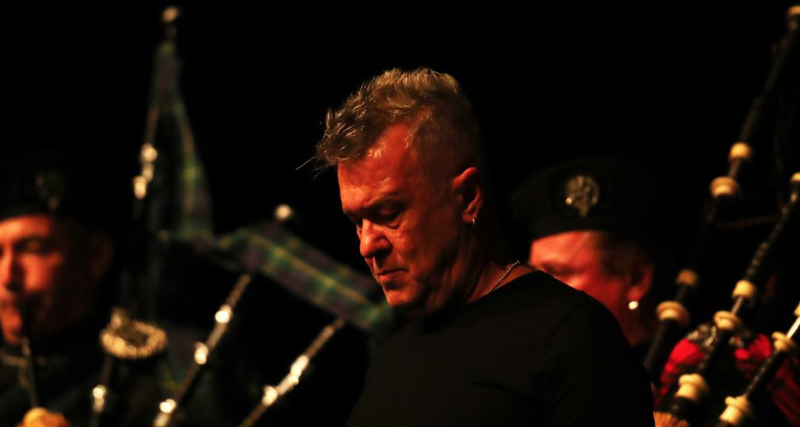 FROM a boy born in the backblocks of Glasgow named James Dixon Swan to an Australian rock icon called Jimmy Barnes this show is a moving, exhilarating and brilliantly produced night out. “Barnesy” is front and centre throughout delivering the raw, uncensored version of a violent childhood, a delinquent youth and the painful journey, through a haze of drugs and alcohol, to manhood and fatherhood. Joined on stage by son Jackie, daughter Mahalia and her husband Ben Rodgers — and in a strange fleeting cameo by the Blue Wiggle, Anthony Field, as one of four bagpipers — Jimmy holds court for more than two hours. This national tour show supports the launch of Barnes’ memoir, “Working Class Boy” but wherever it is performed there will be no more poignant or meaningful place than in Adelaide. Several of those named in the yarns were in the audience and many in the crowd were 10 pound Poms who also experienced the Nissan huts of the Gepps Cross migrant camp and the false promise of a ‘wonderful life’ in the new town of Elizabeth. Jimmy plays on Saturday night at the Barossa arts convention centre in Tanunda.